Festival season is in full swing but it's not too late to create something special to wear to your local festival. 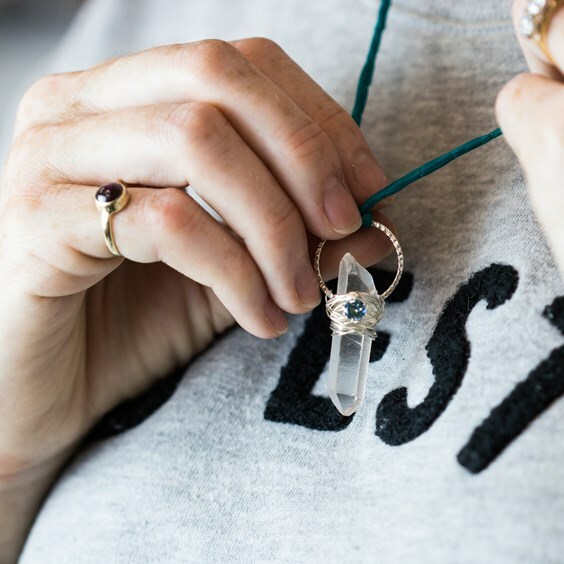 This boho inspired crystal necklace is an easy project, which will only take you around 20 minutes to make! So why not give it a go and stand out from the crowd this summer? 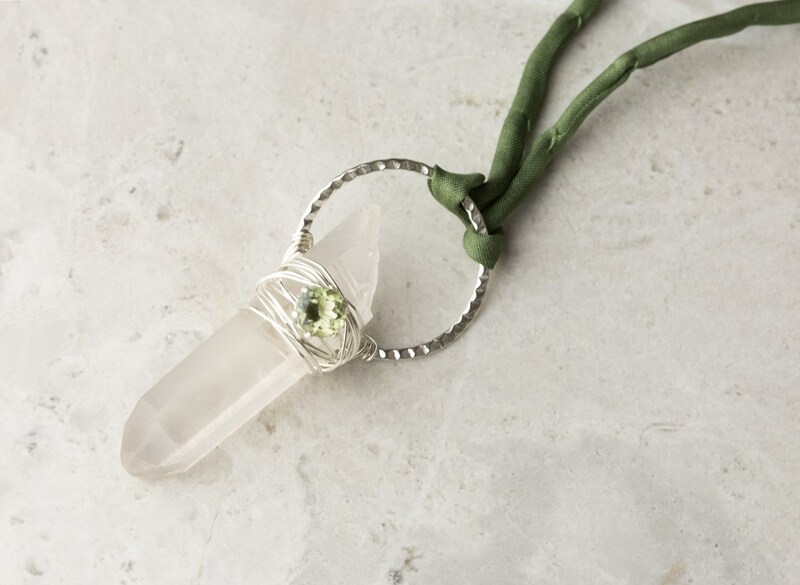 We love how versatile this necklace is, you can choose your own faceted stone to feature and also experiment with different coloured cords! Follow our photos below and read our step by step instructions. A selection of Kernowcraft products, perfect for summer events! What colour gemstone would you use? Head to our 'Make The Look' page to find a shopping list ready for you to add to your basket! 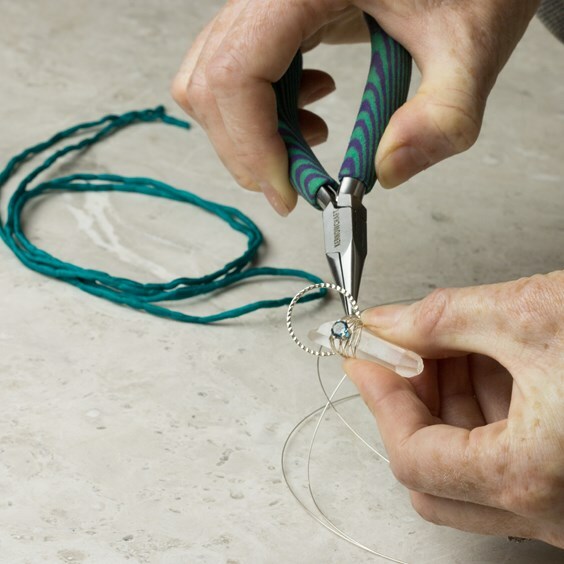 Take around 1m of 0.5mm sterling silver wire and thread it through the hole of the crystal point. 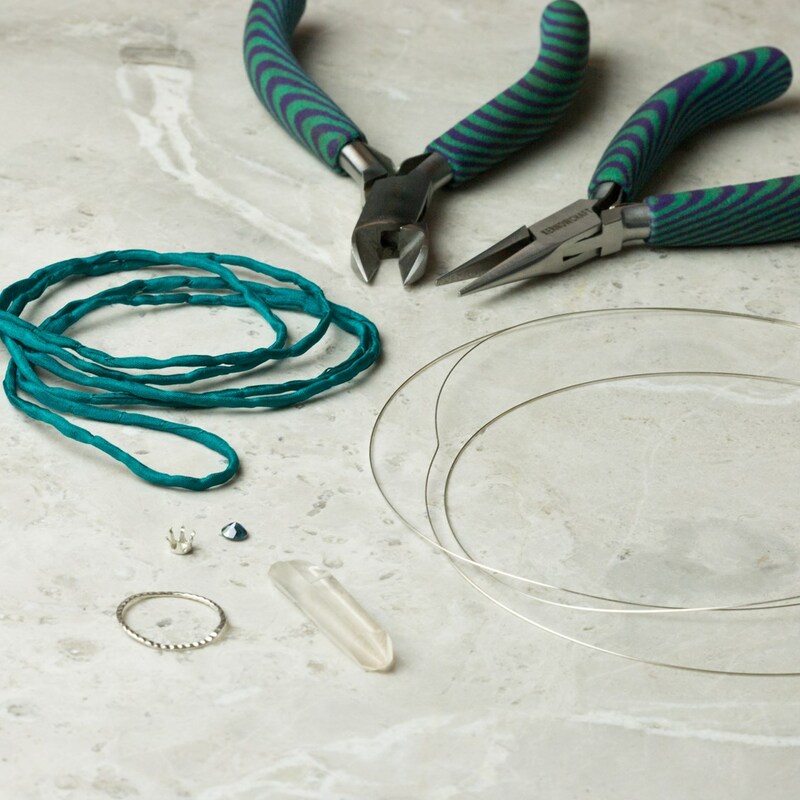 Hold the crystal against the hoop connector and use wire to wrap them together (use each end of the wire around each side of the connector once to keep it in place). 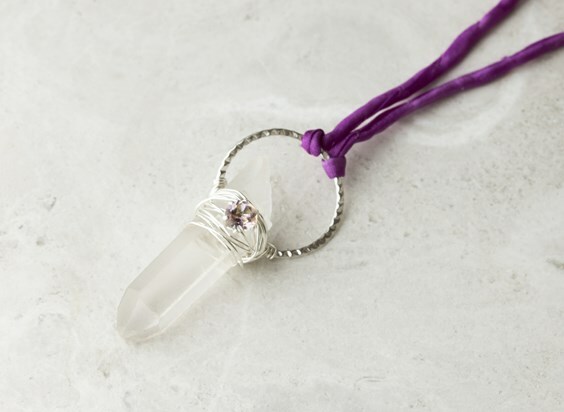 Place the snaptite setting on the flat front side of the crystal and wrap the wire around the claws. 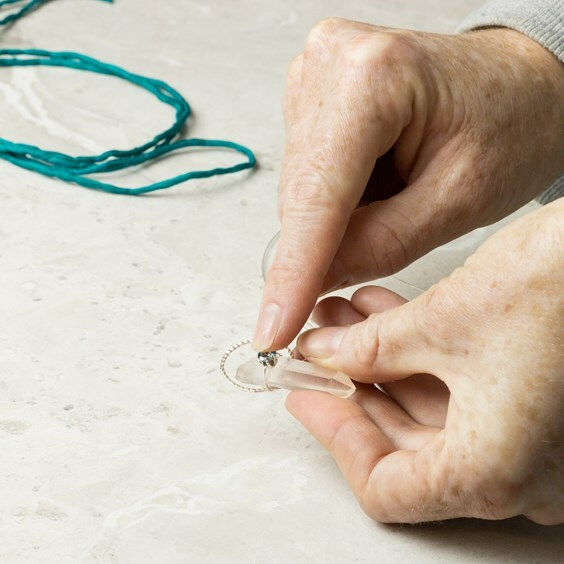 The snaptite settings have pre-notched tensioned claws, meaning it will snap around the stone and keep it secure. 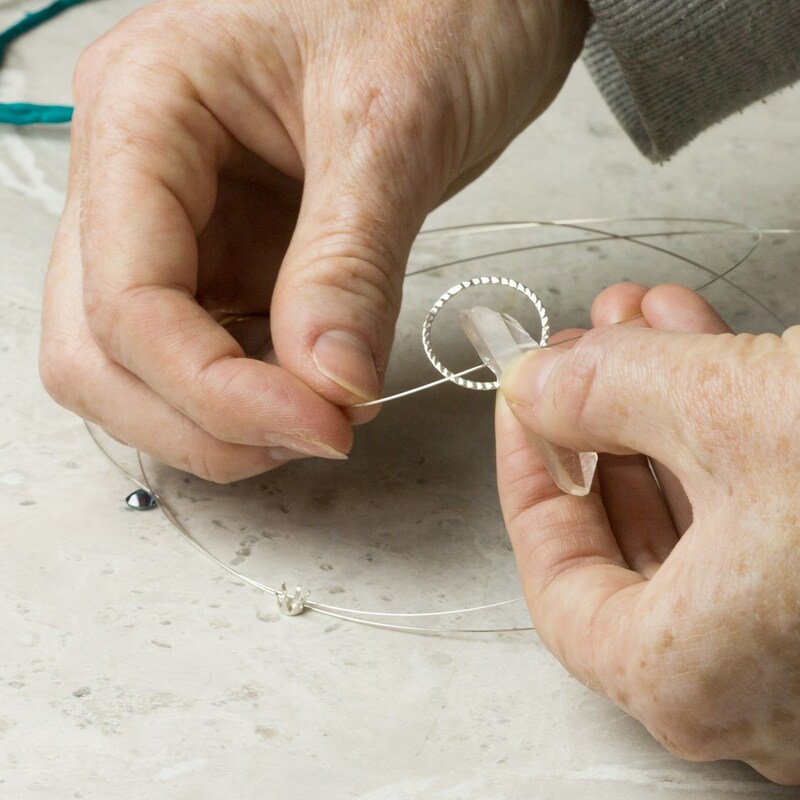 Now push your chosen stone flat side up into the setting and it should click into place - if needed you can push the claws down over the stone. Wrap the remaining wire around the crystal and connector, trim the wire and tuck it in so it doesn't become loose or catch on anything. 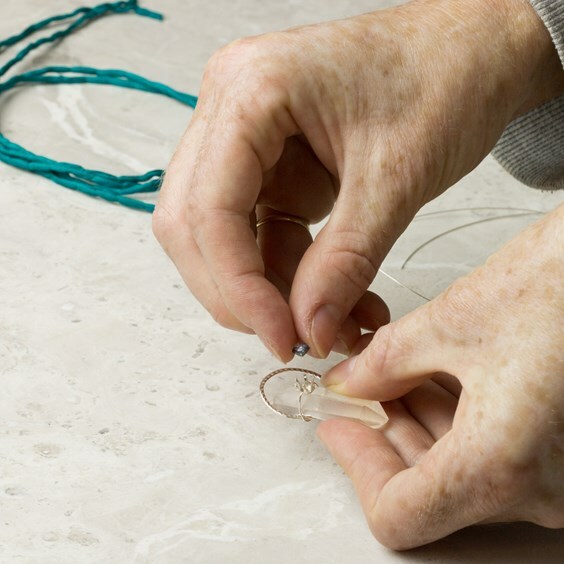 Lastly, fold the silk cord in half and push it through the loop connector, then thread the ends through so the pendant hangs from the middle cord. Tie and knot at the end of the cords and you're finished!